Defeated. Beaten down. Every day was the same for David*. Bullies relentlessly abused the 13-year-old, who has disabilities. In the halls of middle school and in the streets of his neighborhood—living in a small town meant there was no place he could escape his tormentors. School administrators promised to do something, but the situation never changed. David’s only safe haven was his tiny home. Before too long, he refused to leave the house. His mother Jodi* began homeschooling him, further straining the family’s tense financial situation. 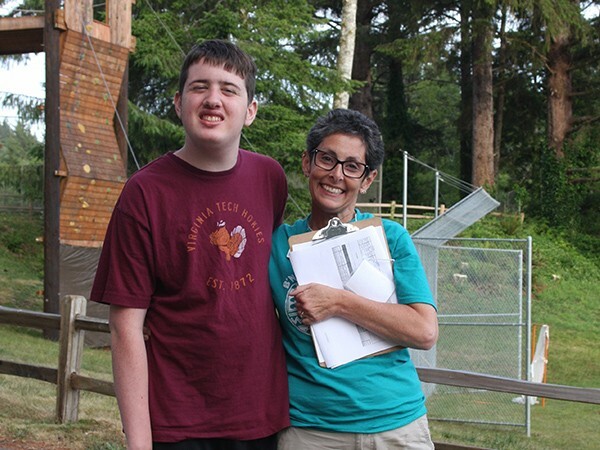 Desperate to give her son just one normal, fun summer, Jodi started a page on a crowdfunding site seeking donations to send her son to their local Federation-supported camp, which has a top-notch inclusion program for children with special needs. She spread the word and waited, praying readers would understand her family’s pain and find it in their hearts to help. One reader was moved to do even more. She called the camp’s operations director and told her David’s story. She immediately contacted Jodi and helped her through the camp’s financial aid process. When the aid committee reviewed her application, they immediately awarded David a full scholarship.